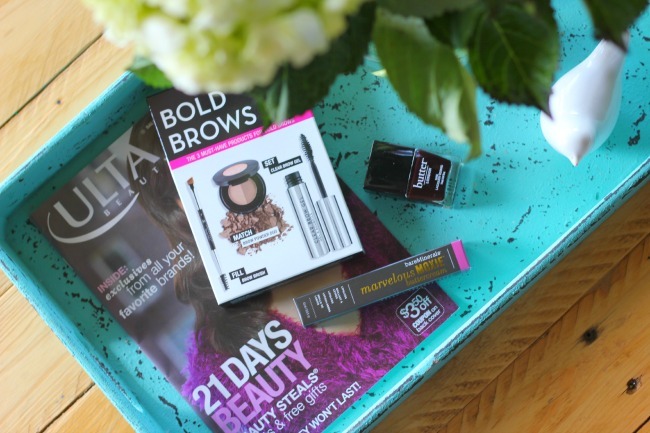 ULTA Beauty is launching their bi-annual 21 Days of Beauty campaign and i am so excited to bring you details of the greatest beauty steals along with an amazing reader giveaway. two times each year ULTA beauty will host a three week celebration that features special offers, beauty tips and brand focus days. ULTA is not only the country's largest beauty retailer they are also the ultimate one-stop destination for any beauty needs. 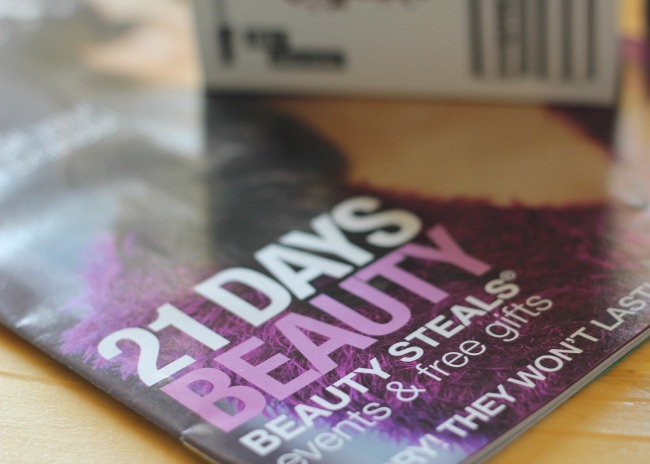 during the three weeks ULTA will feature one 'Beauty Steal' and one 'Beauty Focus Day' for the 21 days. the Beauty Steals are special offers on your favorite products like Urban Decay, Tarte, IT Cosmetics, bareMinerals, Butter LONDON, Philosophy and more. Beauty Focus days are when they will feature demonstrations like customized makeup lessons, expert beauty tips and one-on-one appointments. as a thank you for sharing this campaign ULTA beauty sent me some of the Beauty Steals to try out and i am already in heaven. the bareMinerals marvelous MOXIE buttercream lipgloss below is pretty incredible. 21 Days of Beauty is a brilliant opportunity to try new products without paying full price. plus, ULTA wants to thank you for being such a loyal reader and will be offering a great reader giveaway for Blushing Basics fans, an ULTA Beauty Prize Pack (it promises to be spectacular). enter through the rafflecopter below. this week there are some amazing deals to be had. today you can get your hands on Too Faced Bulletproof Brows - a kit to give you flawless brows. this kit regularly retails for $30 however you can pick it up for only $15! events for today feature Too Faced and Exuviance. tomorrow's deal are the STILA eyeshadow palette that are regularly $39 each for only $20. events include STILA and Murad. Fridays deal is the Smashbox 24 Hour Shadow Primer for only $10, regularly $20. events on Friday feature Smashbox, Tart, Lancome, Clinique and Dermologica. last, Saturday's steals include butter LONDON 2 for $15 regularly $15 each or Philosophy Purity Wipes for $10, regularly $15. Saturdays events include bareMinerals, Philosophy, Benefit, Butter London and Clarisonic. stay tuned for updates the next three weeks sharing what Steals and Focus Days are approaching. this beauty extravaganza is offered in all ULTA Beauty stores nationwide along with special offers available on ULTA.com.